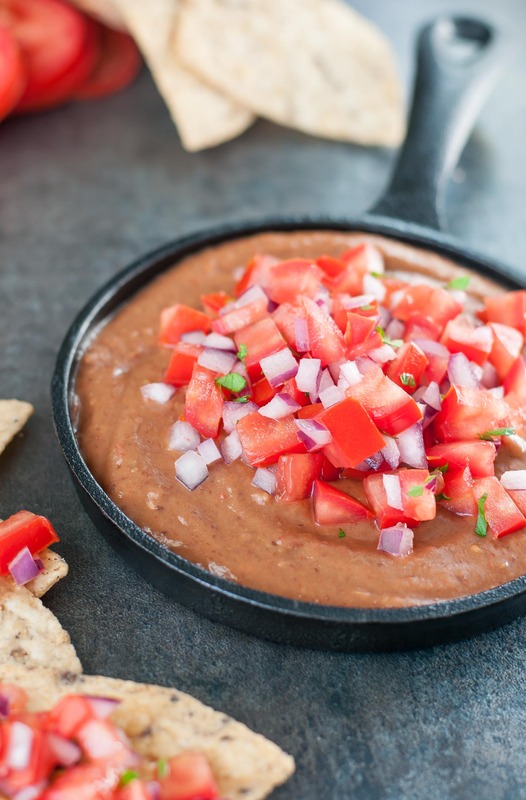 This Chipotle Black Bean Dip with Pico de Gallo is healthy and delicious! Serve up this vegan bean dip as a quick and easy snack or appetizer and a tasty addition to taco night! 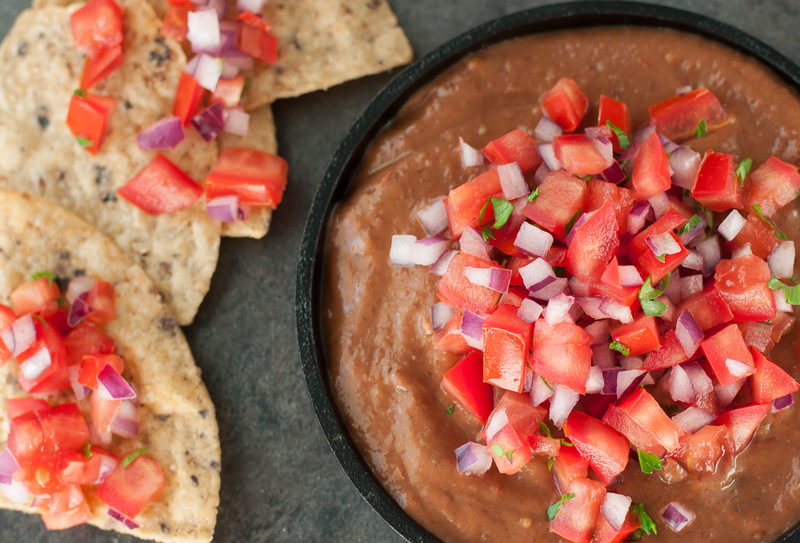 This smoky vegan black bean dip is low in fat and big in flavor! I could ramble about the first few things to pop in my head today oooooor I can deliver this awesomely awesome recipe straight to your face. Let’s do the latter, mmkay? Taco night is ready to be rocked! Combine black beans, green salsa, garlic, lime juice, cumin and salt in a food processor. Next add one chipotle pepper and puree. Taste test for heat, then add the additional chipotle pepper if you're in the mood for a kick, then blend again. You can even sneak in a little cayenne if you feel like kicking things up a few more notches. Have at it! Make this dip as spicy or as mild as you'd like! Heat a small saucepan to medium heat and warm up the dip. Alternatively the microwave can be used if desired. While the dip warms, chop pico de gallo ingredients and combine. Serve over warm dip with an assortment of tortilla chips and veggies. The heat doesn’t hit you at first, but has a slow after-burn that, for heat lovers, keeps you coming back for more! P and I scarfed the entire bowl within a few hours, fanning our faces dramatically before diving back in for another face full of fire. We have a few dishes that we make on the regular that can only be described as painfully delicious. Looking for something to pair it with? Check out this post on our taco night favorites! As always, dips are uber easy to customize and you can control the heat by reducing the amount of chipotle used and also choosing a mild green or red salsa. If you’re a rebel like we are, feel free to up the heat with extra chipotle and even jalapeños or cayenne pepper. It can go either way! If you’re a fan of sour cream (either vegan or regular) a dollop on top is pretty darn tasty! I purposely didn’t share this batch with the chickpea, because the last time I let her dive into a spicy dip she spent the remainder of the day trying to rub red pepper flake after-burn off her tongue while I offered up buckets of yogurt and bananas to help the poor kid out. She’s either a masochist or a spice addict, because she decided to creep over to my set-up and help herself. At first I thought she was in it entirely for the tortilla chips, but each bite was followed by another dunk into the dip and another dramatic “my tongue is meltingggggg!! !” moment followed by, you guessed it, more dip! Clearly it’s THAT good! 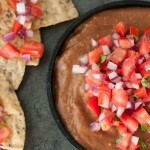 Let me know if you get a chance to try this tasty chipotle black bean dip! This dip is amazing! Thank you for the recipe! LOVE this dip! Was delicious and our friends DEVOURED it. Ahhh yay! 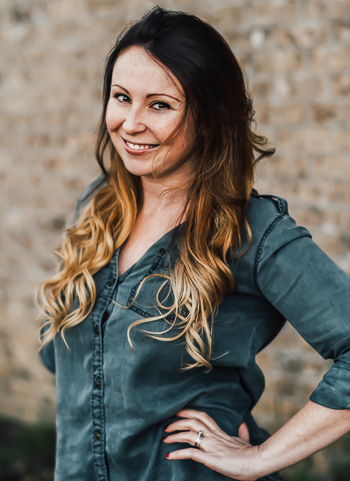 So happy to hear it Aimee – thank you! homegirl should’ve been born latina. She’s german/danish/jewish, and I get that, but are you suuuuuuuure she’s not at least 1/16 Mexican? Cuban? Okay I’m drooling!! This looks and sounds amazing!! Oh and your baby girl is a complete doll!!!! She’s takes after her momma. Can’t say I blame her. I love things so spicy it burns, especially the slow after burn. Mmm, I’m getting excited just thinking about it. I got it from my mamma! If my nose gets stuffy I break out the ghost pepper. #burnbabyburn! This looks so goo. I am so sick… can you please come spoon feed me? Kthanksbye. poor baby! Hope you’re feeling better today!!!! Funny story. Poor little lady. 🙂 Thanks for sharing the recipe. Sounds delish. OMG…that is hilarious about your daughter! So adorable. My brother used to eat jars of olives when he was little like he never would eat one again in his life & would get so thirsty for days after. Kids are fun! I just saw this on Instagram and raced right over to your blog! I am obsessed with anything chipotle…I am certainly trying this soon! I think it would be a great addition to my fish tacos. Thanks for the great recipe! I can’t blame her for wanting this!! Perfect Superbowl dish!! Thanks girl!